​I colour fabrics using dyes and paints before manipulating them and using stitch to give emphasis and detail. 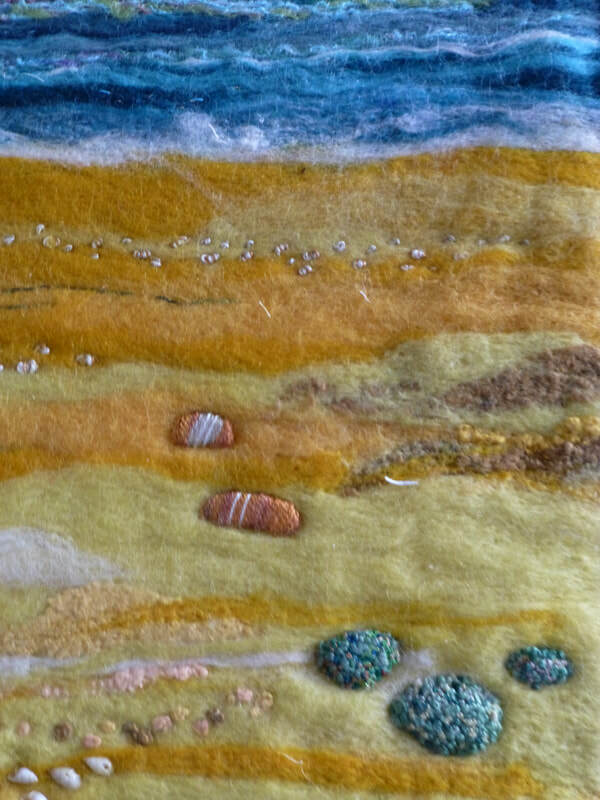 My work is influenced by interests in water, geological features and geological features, natural forms and bright colours leading to outcomes in wall-hangings, quilts and small pictures. I have always stitched, basic needlepoint and embroidery onto pre-printed fabric as a child, knitting and patchwork. From 2007-2009 I did the City and Guilds level 3 certificate in machine embroidery. From 2010 to 2012 I took classes with Bren Boardman, including “Explore your creative potential”, and in 2016 I completed the City and Guilds Diploma in embroidery. 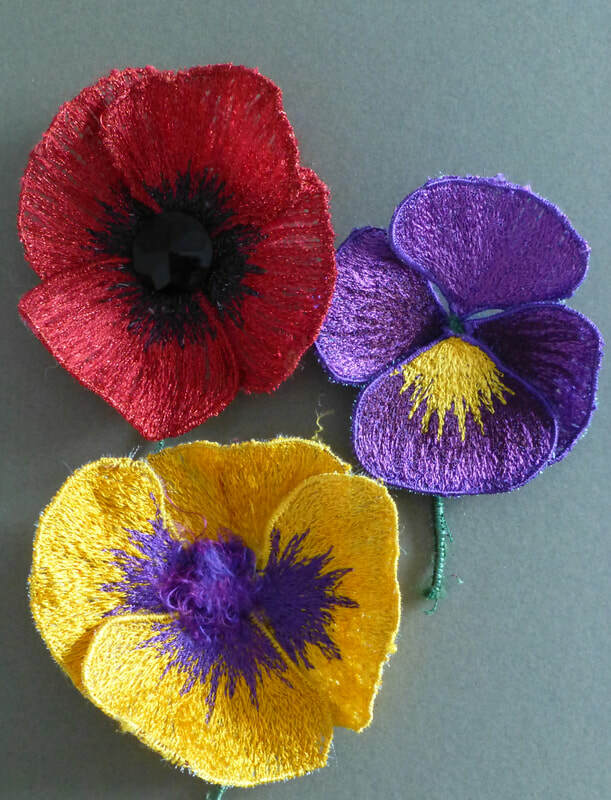 I am a member of Aspects of Stitch, the Market Harborough branch of the Embroiderers’ Guild. 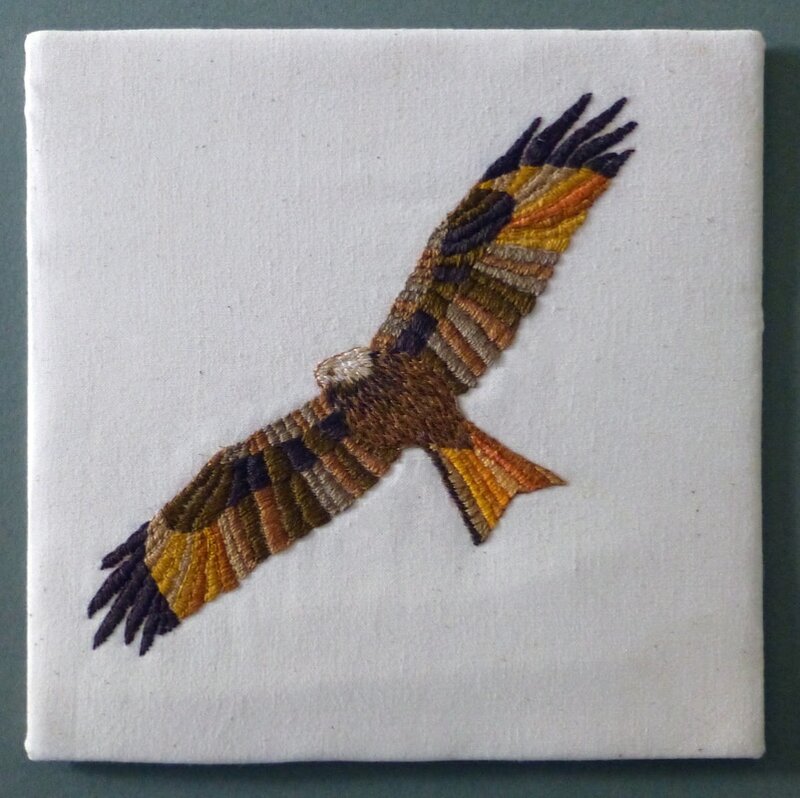 Our interests range from traditional hand embroidery to machine embroidery and mixed media. I also belong to Harborough Artists Cluster. We have an annual open studios event and in September each year hold Artists Windows, when about forty local small shops, cafes and businesses put our work in their windows for a free town wide art exhibition.